Pole Buildings in Central Kentucky. 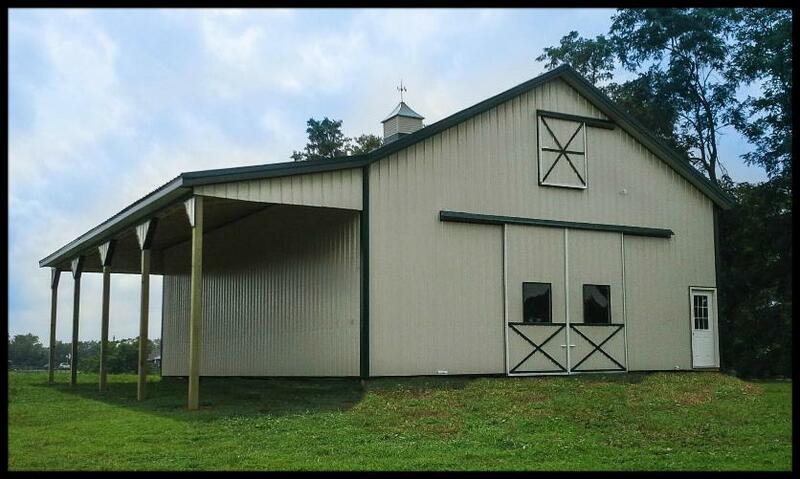 Together, we can discuss the perfect Pole Barn / Pole Building that fits your desires. 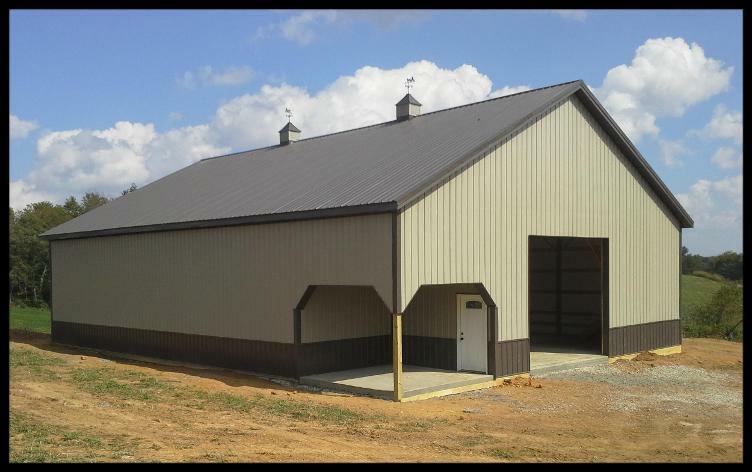 Then, 5 Star Roofing can take that information and design your Pole Building. 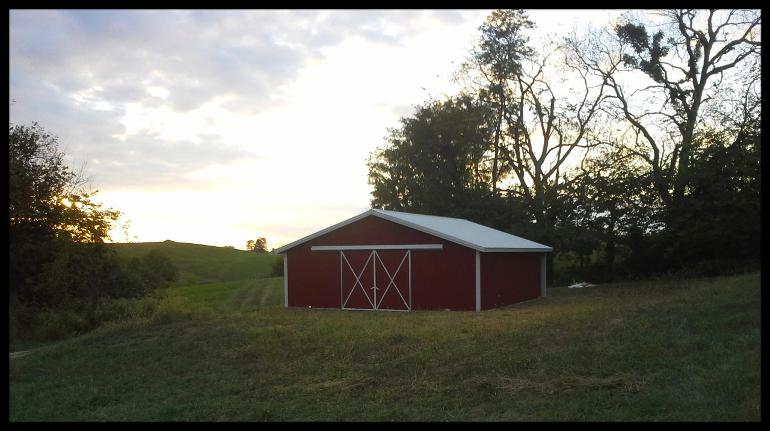 All Buildings are designed to Kentucky State Building Code. You will receive an image of the building along with all building details. Our customers get a complete installed & delivered price, every time! 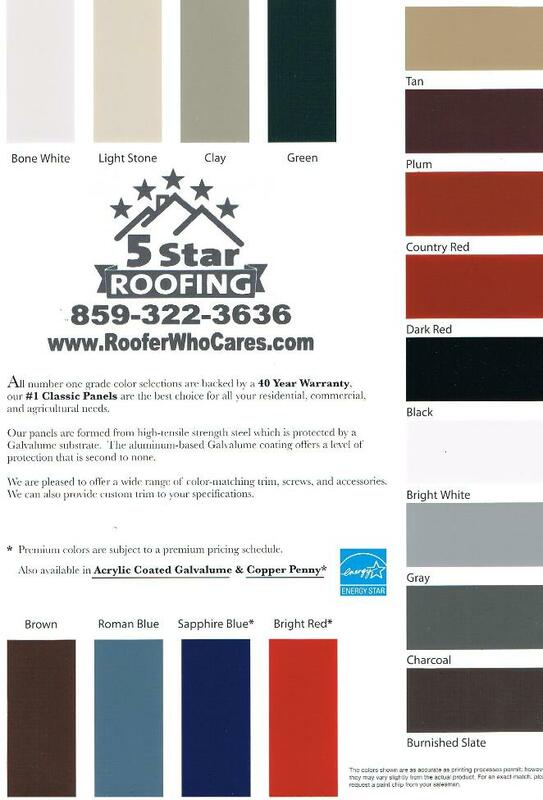 Before making your color selection, we ask the customer to review actual color chips.